This season is the best......to celebrate by reflecting on all that which we are thankful for. I love it! It is so important that we pull ourselves away from our daily grind to recognize how much we have and hold. May you have the best Thanksgiving ever! We're all anticipating the big Thanksgiving feast. Everyone has different traditions and special foods they fix for such an amazing holiday. I love that it causes us to pause and remember that we are so very very blessed. Gratefulness is a very important component of living a joyful and purposeful life. I hope your holiday is bursting with goodness....and you take the time to acknowledge it as such. "I will give You thanks, for You answered me; You have become my salvation." Remember the warning about my obsession with autumn cookies....... here's my THIRD set of the season. And this is by far is my favorite. Those colors......and those molded clay pieces.....LOVE! Cookie decorating doesn't have to be super complex. 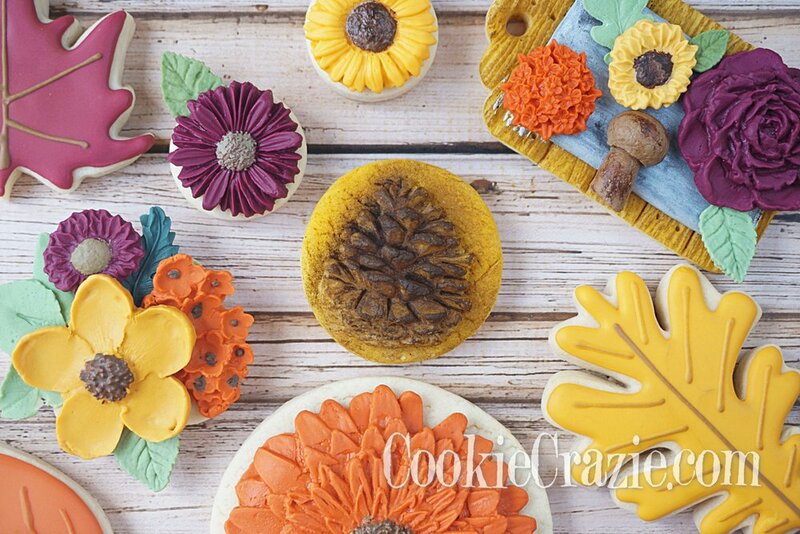 Using lots of silicone molds with edible clay allows you to create extraordinary cookies without exhausting effort. There seems to be a growing demand for molds......and therefore....so many new ones to choose from. I found a wonderful source for silicone molds HERE. Check them out! My last (and favorite) fall set of the season.....promise! This set is a bit less traditional that my usual fall sets. And I tried to incorporate the wet-on-wet technique as much as possible. It's amazing how much faster it is to decorate a cookie when you flood it and add most of the details all at one time! You've been forewarned that I'm currently dreaming up another fall-ish set of cookies for the near future. It's that time of year again......so many things to look forward to. 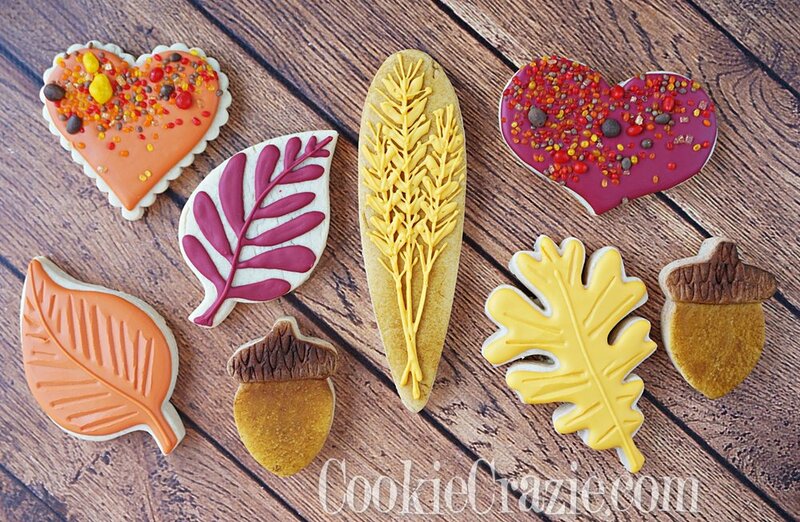 Autumn is near and dear to my heart......and every year I look forward to creating several cookie sets to celebrate. This collection is ordinary in colors and designs.....but it felt like a good place to start.